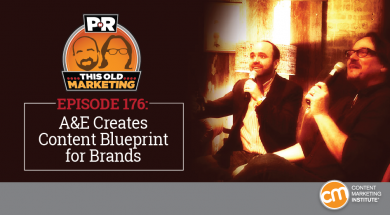 In this episode, Robert and I discuss why A&E’s publisher-driven model may be perfect for enterprise brands. In other news, both Twitter and Medium have come out with monetization strategies involving paid content; only time will tell if either one will work. Our rants and raves include mixing things up as part of your content strategy and LinkedIn’s advertising model; we close with an example of the week on Red Hat and OpenSource.com. Why A&E Networks wants to operate more like a publisher (14:15): A&E Networks wants advertisers to view its company less as a collection of TV businesses and more as storytellers, according to a new article on AdAge. To drive this goal, the network has hired several editors-in-chief, and is working on building more culturally relevant brands by focusing on thematic content areas like “women in tech.” Robert sees this as an encouraging sign that marketers are finally starting to implement more future-focused business models. He advises every marketer on the planet to follow this move as it continues to unfold. Medium debuts its ad-free platform (21:35): Speaking of shifts, a pair of stories hit our radar, indicating that two of the biggest social networks — Medium and Twitter — are making serious inroads toward the goal of reducing their reliance on advertising revenue. In the first article, Medium announced the launch of its new paid platform, which gives enhanced options for experiencing content and early access to new features on the site to supporters. Meanwhile, BBC News reports that Twitter is surveying its power-user base, looking to gauge interest in a paid membership option of its own. As we see it, the donation model Medium is pursuing wouldn’t be a good fit for Twitter, which might be better off focusing on ways to grow its audience beyond the niche power-user group that paid membership might appeal to. Parse.ly – Getting There: How Brands, Publishers, and Agencies Use Content Analytics: With content creation and promotion comes a lot of data. If you have a digital audience, there’s a good chance that you have trouble connecting the information your data provides with a way to use it to improve your content strategy. Don’t worry – you’re not alone. Parse.ly (the company, not the herb) has researched the state of content analytics with a survey of publishers, brands – anyone that creates content. 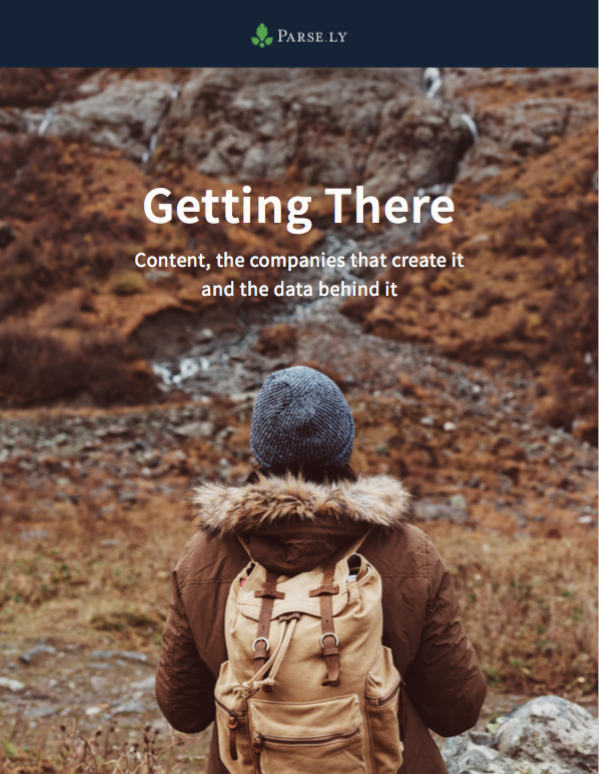 The report they produced on the findings reveals what metrics the industry considers most useful, the siloed state of brand and publisher offices when it comes to data access, and how their analytics end up impacting the content they create. Get it now. Robert’s rave: A new article in MarketingLand reports that LinkedIn will roll out a new ad-targeting program called Matched Audiences in November. Last year, Robert predicted that, once the dust settled from LinkedIn’s acquisition, the company would resurrect its popular ad-targeting solution, which leveraged email data it owns. It’s a great marketing tool, and Robert is proud to have called this one. Robert’s rant: You may recall that Robert discussed an AdAge story last week about Procter & Gamble pulling its advertising from publishers that don’t receive audience measurement accreditation. Robert found three stories related to this concept that really stuck in his craw: this Ars Technica piece on the U.S. Senate’s decision to let ISPs sell your web browsing history; this article from The Verge on a YouTube boycott due to hate speech; and a Wall Street Journal story on a digital platform for data-driven TV ad buying. The takeaway? Robert says marketers need to get good at owned media in the future, as that’s the only reliable way we will be able to get to an addressable audience. Joe’s commentary: At Social Media Marketing World, I caught a presentation by Pat Flynn, who talked about the value of surprising your audience to grow your audience. According to Pat, brands typically grow audiences gradually over time. He suggests speeding up the process simply by changing up your content once in a while — in terms of format, topic, velocity, etc. These changes can drive renewed interest in sharing your content. Pat reminded me that once your audience knows, likes, and trusts you, they will give you the freedom to experiment. I encourage everyone to take advantage of this opportunity by spreading your creative wings from time to time. Robert has had the pleasure of doing business with Red Hat, which in 2010 launched a site called opensource.com. At the time, its CEO said the site was launched to give back to the open-source community and to discuss the broader impact of open source. All were welcome and invited to contribute (and still are). It’s become an amazing resource for the open-source industry. By 2013, the site was publishing 46 articles a month with an average of 180,000 page views. By 2016, it was publishing 95 articles monthly and hit 1 million page views in March 2016. About 60% of its content is contributed by community members. It’s the true meaning of using content to create something of value — a rising tide to lift all boats.